The team here at Truck & Trailer is ecstatic to announce the 10th Anniversary of Pomona Road Truck Sales. Established back in 2006, Pomona Trucks has gone from strength to strength, today being an all-round service provider when it comes to everything from plant equipment and truck spares, to trailers and trucks for sale. With experience in the transport industry dating all the way back to the 1970’s Pomona Road Truck Sales started as a family owned transport business. A need for fast and reliable services and repairs soon arose and an in-house repair services saw Pomona Trucks flung into new and exciting ventures. Soon a manufacturing and repair, as well as a spares department was established, resulting in a group of companies that is today a one-stop shop that fulfils all the needs of their customers. Specialising in various fields within the transport industry, Pomona offers everything from truck and trailer spares to plant equipment, resulting in a streamlined service that is fast, reliable and cost effective. In 2013 P.R. 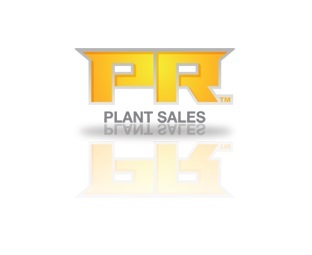 Plant Sales, P.R. Exports and P.R. All Sales were born as result of spotting a gap in the market. A need for affordable machinery and plant equipment for sale, mainly to construction companies, was turned into success by the three directors, each with their own field of expertise. Pomona Road Truck Sales: Established in 2006, this division deals with both new and used trucks and truck trailers for sale. 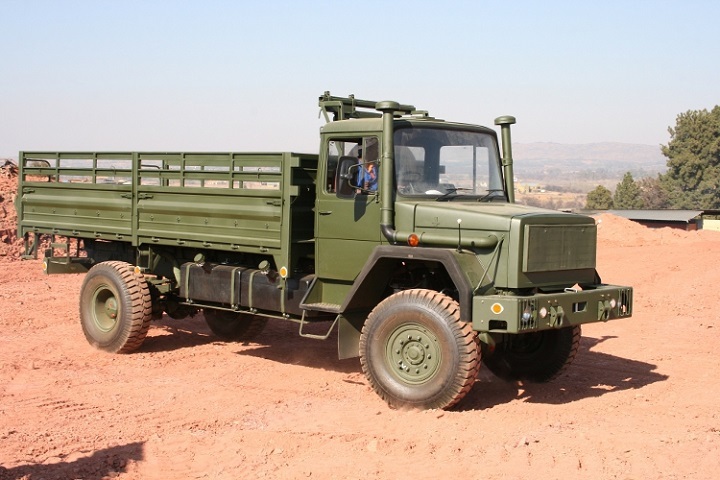 This division is also involved in the buying of trucks and trailers. 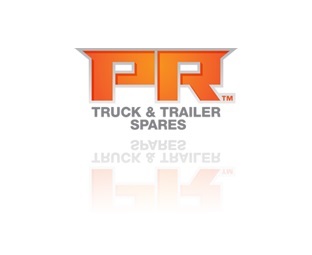 PR Trailers: Established back in 2009, Pomona Road Trailers specialises in the manufacturing of lowbed, step-deck and trailers, delivering products that are reliable. Able to deliver custom made trailers, repair services and trailer spares are also on-hand. P.R. Truck and Trailer Spares: If you are in the market for spares for your trailers, this division, established in 2009, provides general spares for trailers – everything from suspension to axles – coupled with expert, on-site advise. P.R. 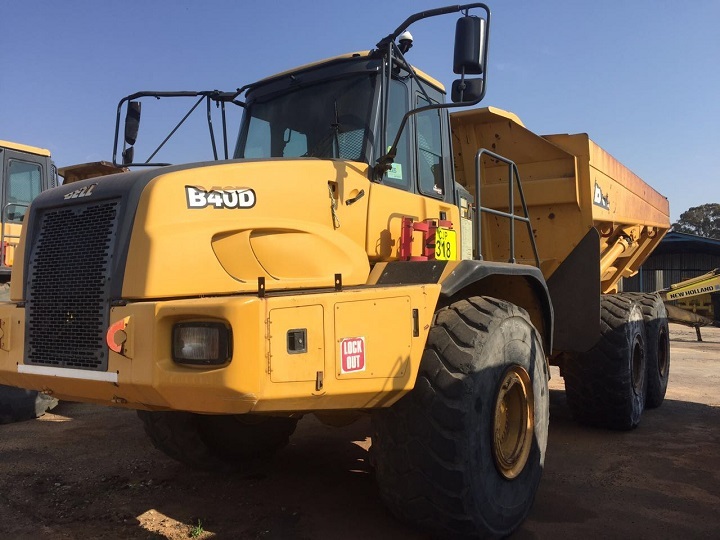 Plant Sales: Mainly offering earthmoving equipment, this division was established in 2013 and specialises in machinery and plant equipment for sale. P.R. All Sales: Whether you are in the market for agricultural equipment, light commercial vehicles or truck trailers for sale, this division, established in 2015, has it all. P.R. Exports: Established in 2014, P.R. Exports is an accredited exporter to SADC countries as well as all customs border posts. With such a huge amount of success and many years of expertise, it is no wonder that Pomona boasts a specialised team. Wouter Wolmarans takes on the role of operations management, cost control, stock finding and strategic operations, while Fourie van Tonder plays vital roles in both strategic planning as well as marketing and operations. Wimpie du Toit specialises in workshop expertise, mechanical repairs, sales and spray painting, while Harry Donsignore is the man to see when it comes to stock finding, purchasing and sales. Pomona Trucks also brags with a team of professional salesmen that includes Kobus du Toit, Quintus Viljoen and Johann Hofman. A verified dealer on Truck and Trailer, Pomona Road Truck Sales features stock that range to include everything from construction machinery and trucks, to truck tractors and trailers. When it comes to trucks for sale, Pomona Trucks offer a range of options both on their own website as well as on the Truck & Trailer website. 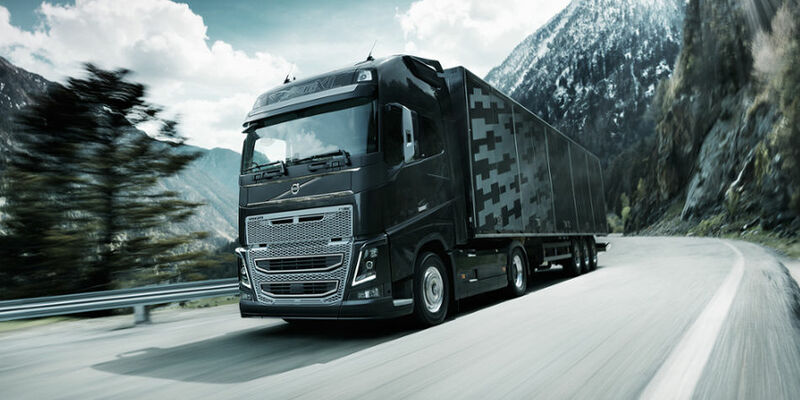 Reputable brand names available from this dealer include MAN, FUSO MERCEDES BENZ, VOLVO and NISSAN, to name but a few examples. 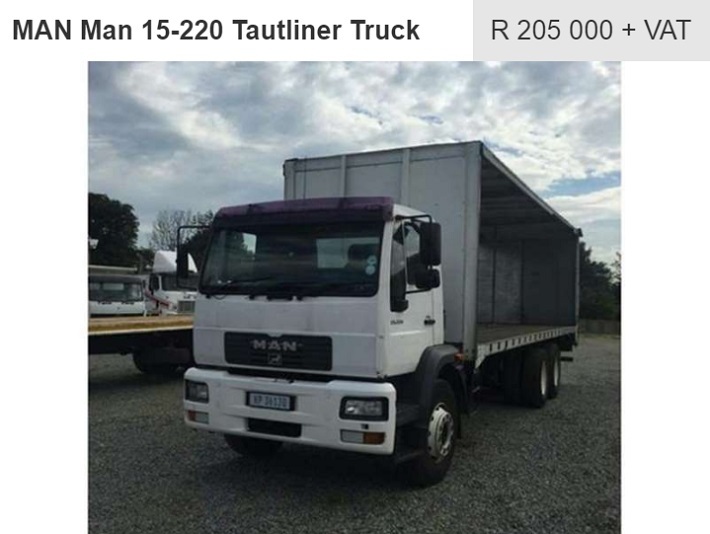 Priced at R 205 000 (excluding VAT), this MAN truck is a 2007 model. 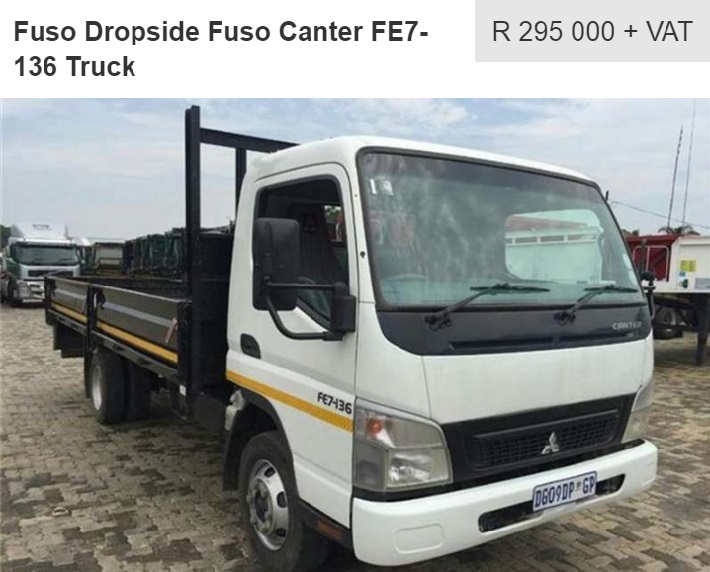 Priced at R 295 000 (excluding VAT), this dropside Fuso truck is a 2014 model and has 22 000 kilometres on its clock. The truck tractors for sale from this dealer include a variety of reputable brands to choose from including Mercedes, MAN and Scania. 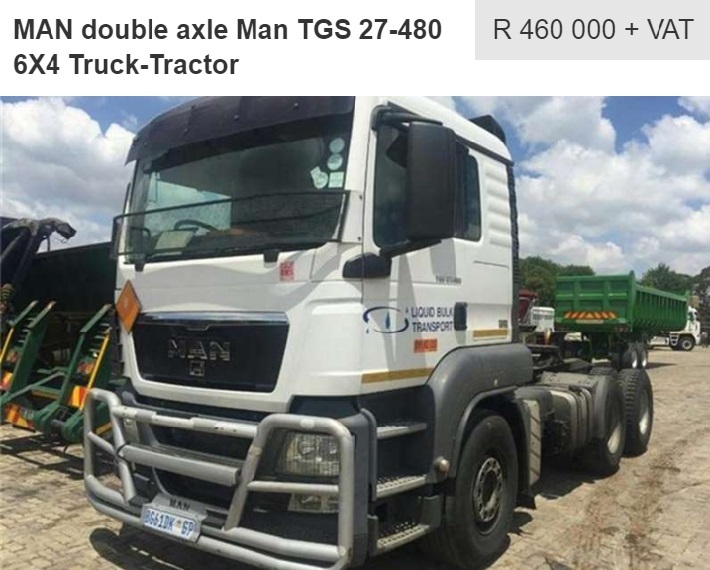 A 6×4 truck, this double axle monster is priced at R 460 000 (excluding VAT), is a 2011 model and has 558 000 kilometres on the clock. 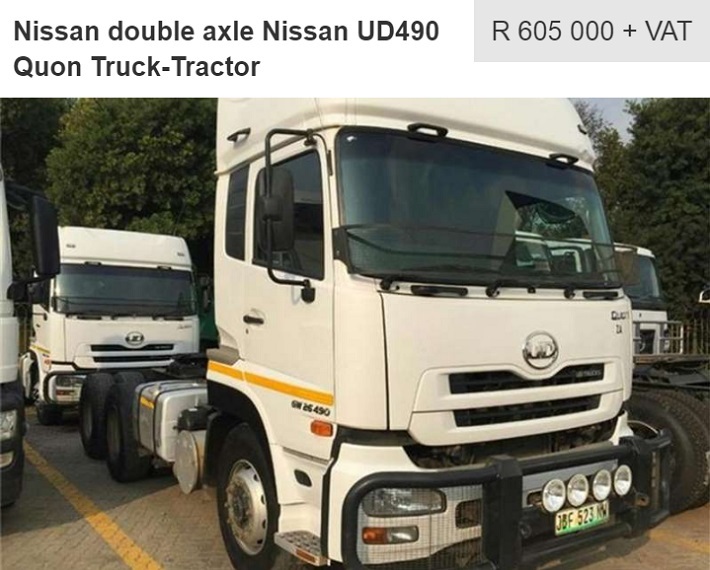 A 2012 year model, this Nissan truck tractor for sale is priced at R 605 000 excluding VAT. If you can’t find the perfect truck tractor, or if you are keeping your eyes on amazing deals, create an alert for truck tractors and get informed of the latest deals via email. One of Pomona Road Trailer’s own, this new 2016 lowbed trailer is equipped to handle heavy duty applications. 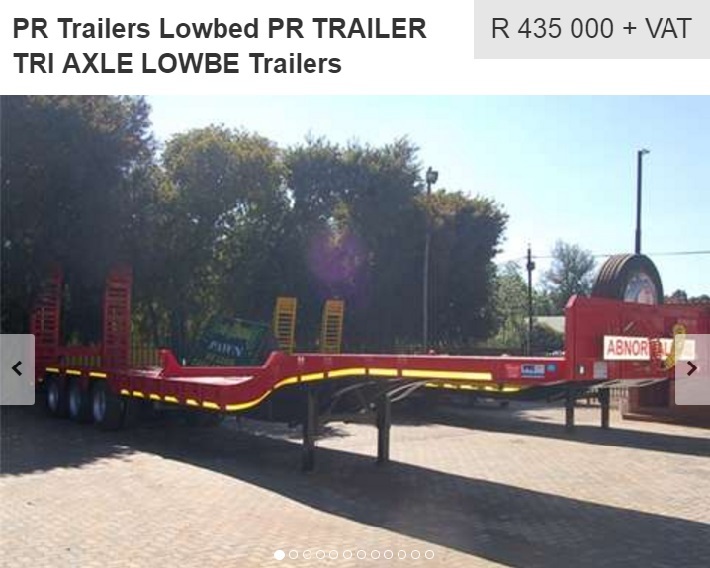 A 40 ton lowbed beauty, this 15 metre trailer for sale is priced at R 435 000 (excluding VAT). 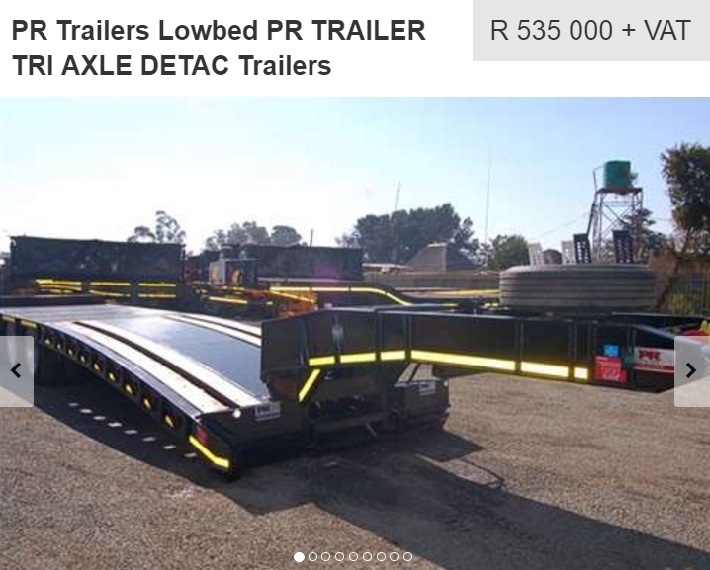 A hydraulic neck detachable trailer with outriggers, this 2016 model from Pomona is priced at R 535 000 plus VAT. 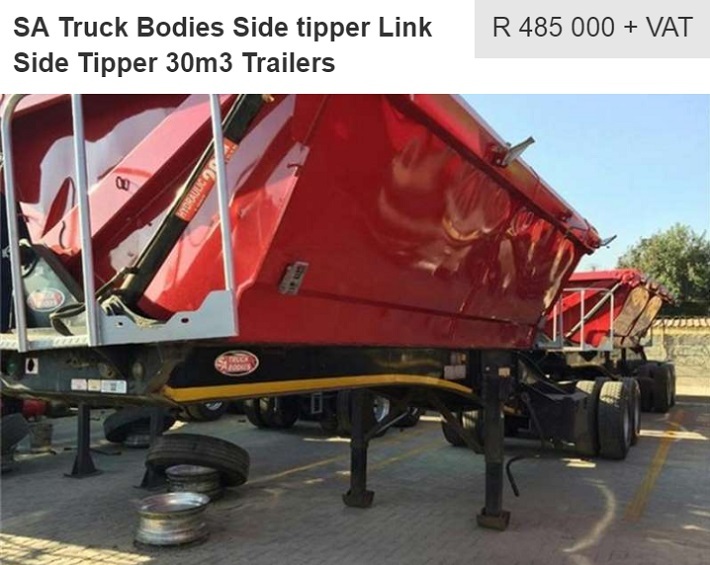 Priced at R 485 000 (excluding VAT), this 30m³ link side tipper trailer is a 2014 model. 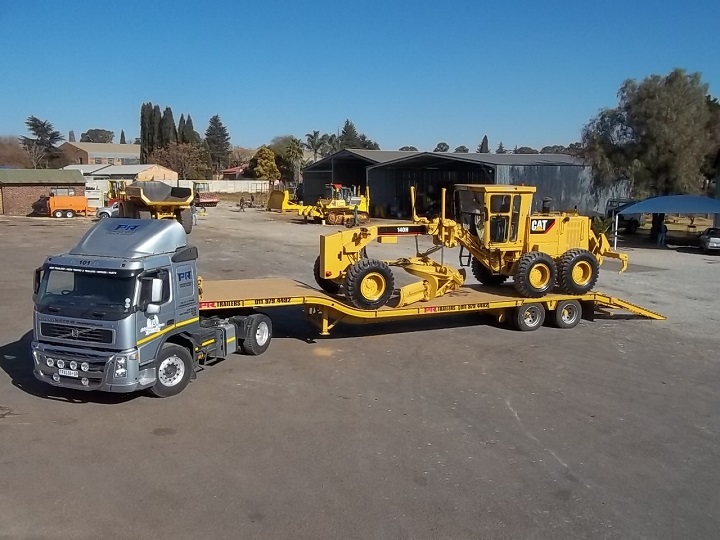 If you are in the market for trailer or truck spares, you can also visit the Pomona Road Truck Sales website at http://pomonatrucks.co.za/. A true one-stop group of companies, Pomona also offer earthmoving equipment. 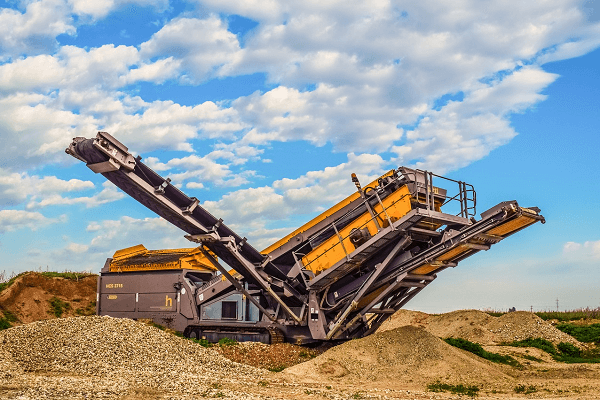 From graders and dumpers, to plant equipment, dozers and loaders, you will find reputable brands that include Komatsu, Bell, Volvo and Caterpillar. 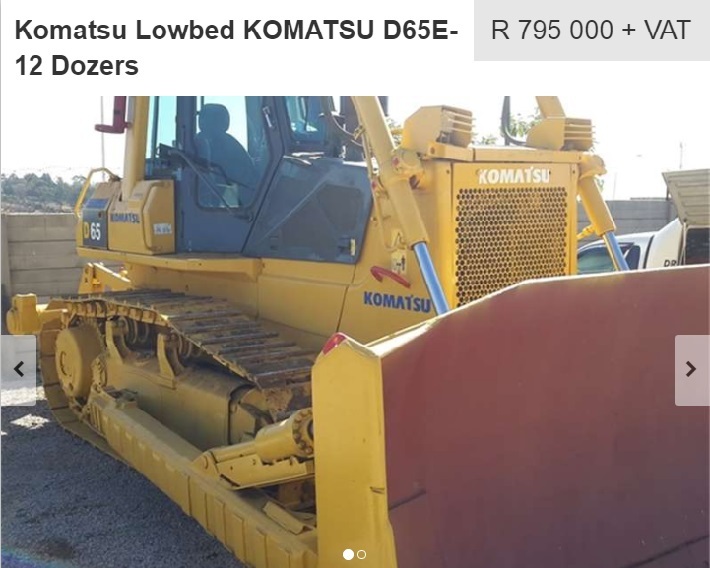 A 2007 Komatsu Lowbed dozer, it has 18 000 hours of work and is priced at R 795 000 (excluding VAT). Two units are available. With 2 units available, these 2008 year models have between 8 000 and 9 000 hours on the meter and carries a price tag of R 1 250 000 plus VAT. Whether you are looking for trucks for sale or trailers, Truck & Trailer is the place to shop. 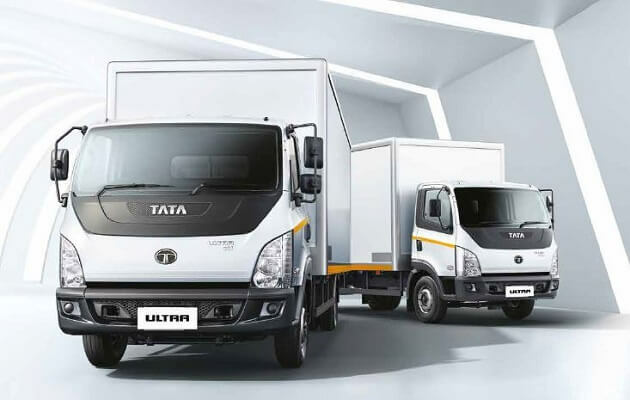 Offering a convenient online classifieds service, you can create alerts and check out some world-class dealers like Pomona Road Truck Sales, with the click of a mouse. What are you waiting for? Visit www.TruckAndTrailer.co.za now!